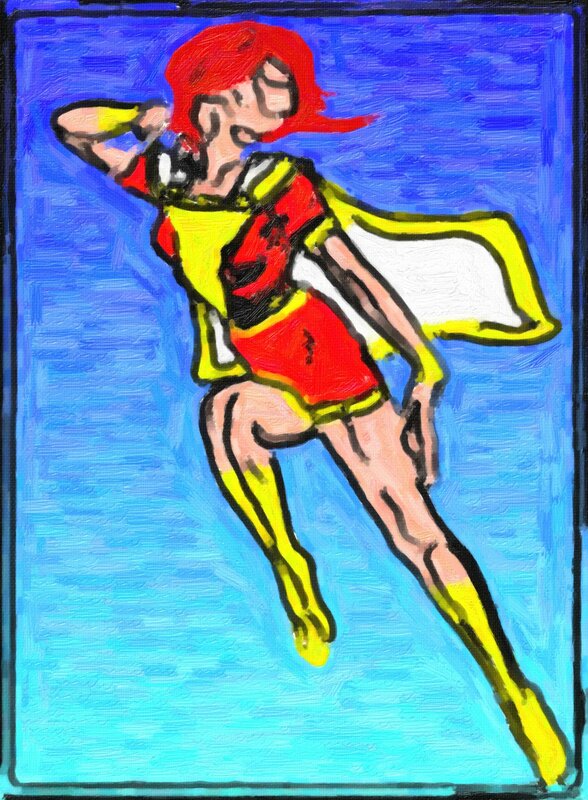 This week’s art is a digital doodle, a semi-abstract rendering of Mary Marvel, Captain Marvel’s super-powered sister. I’m a huge fan of Captain Marvel (don’t call him “Shazam”) and the entire Marvel Family, which includes Mary, Captain Marvel Jr, and ancilliary characters like Uncle Dudley and the Three Lt. Marvels. Anyway, this is Mary Marvel, with a pose swiped from an old Vargas pin up. Click to see it bigger.